With the unanimous recommendation for approval of a CAR T-cell therapy for pediatric cancer now on the books , it would seem the future of cellular therapeutics is assured. No longer an “experimental treatment”, this type of cancer therapy is now a concrete reality, and the future looks bright for both the pharmaceutical companies developing these groundbreaking treatments, and the people who now have real hope of a cure for their disease. While this is certainly a remarkable milestone, the road ahead is not without its challenges. Unlike any other medicine ever to hit the market, live cell therapies are capable of detecting and adapting to even small environmental changes, so expanding their use to a wider population will not simply be a matter of ramping up production and distribution. The temperature sensitivity of vaccines and other biologicals led to the establishment of cold chain requirements and guidelines. Live and dividing cell products are also highly sensitive to temperature changes, but their response to these changes can be subtle, and not easily detected. Clinicians may check post-thaw cell viability, but that doesn’t take into account less visible damage that can lead to apoptosis, or impaired functionality. For this reason, protecting cell therapies from damage that can result in changes in efficacy often translates to protecting the cells from inappropriate temperature excursions. Stem cells and other cellular therapeutics are frequently cryopreserved, predominantly by necessity to accommodate distribution and storage, or occasionally for convenience and practicality in physician and patient scheduling. While most scientists and clinicians are aware of the need for controlled rate freezing to retain optimal cell viability, few are aware that controlled thawing of cryopreserved cells is equally if not more important. Freezing and thawing are two sides of the same coin. If ice crystal damage is to be prevented during freezing, then upmost concern should be placed on preventing ice crystal formation during thawing. On the face of it, it’s certainly easy to see how the dangers inherent in cell thawing are overlooked. Cryopreserved cells stored in liquid nitrogen are held at extremely cold temperatures, typically between −135 °C and −196 °C. Organic solvents and other cryopreservatives are added to cryopreservation media to depress the freezing point, and prevent the formation of any large ice crystals that can cause damage. This process isn’t perfect; small intracellular ice crystals can, and do form as the cell dehydrates, until the temperature is lowered to the point where biological activity ceases. During cell thawing, the “freezing process” occurs in reverse. The temperature climbs back up, and as the cell transitions back into a viable state, the influx of water from the surrounding medium can trigger small ice crystals to fuse and grow, damaging delicate cell membranes. In fact, it’s ice re-crystallization during thawing that more often than not causes the damage that results in cell death. Although a rapid thawing rate is generally recommended, a thawing rate that’s too fast can cause a cell to swell and burst. A thawing rate that’s too slow, on the other hand, makes the cell more vulnerable to ice re-crystallization. Repeated freeze-thaws and uneven sample thawing can cause even more damage, by stressing those cells that do survive to the point where an apoptosis cascade is initiated, leading to further cell loss down the line. Cell thawing rate should also be adjusted for parameters such a cell size, cell type, and cryopreservation medium. Cell volume determines how much water any given cell holds. As extracellular ice crystals form, the solute concentration outside of the cell is effectively increased, and water moves out of the cell by osmosis. While rapid dehydration can harm a cell, factors such as membrane permeability or DMSO concentration can modify this effect. [5, 6] Adjusting the thawing rate beforehand can help account for cell volume osmotic-induced changes, and therefore improve post-thaw cell viability. Due to differences in cell volume, cell surface area, membrane permeability, and temperature sensitivity, different cell types have different optimal thawing rates. When cells are used in a clinical setting, the issue of controlled thawing takes on greater importance. A great deal of time and resources goes into developing and manufacturing these therapeutics, so it is bewildering to leave the very last processing step prior to patient administration up to chance. Yet this is precisely what happens with “traditional” thawing methods. Using a 37°C water bath to thaw cells places them at risk of water-borne contamination, and leaves them open to variable thawing times and subjective thawing endpoints that rely on a nurse or technician “eyeballing” a cryovial or cryobag to judge when the last of chunk of ice has melted. Variable thawing methods, not surprisingly, give variable results, evidenced by reduced viability and impaired downstream functionality. [10-12] When it comes to thawing live dividing cells, we need to move on from accepting a situation which has until now been “good enough”, and embrace a policy of using automated, controlled thawing instruments that will protect the integrity of cellular therapeutics. The role of automation in cell therapy is multifold. Obviously, when a procedure that would otherwise require a great deal of time-intensive labor is automated, the intent is to both streamline and simplify the overall process. At the same time, incorporating automation means that the process can be standardized across multiple sites, which addresses scalability as well as reproducibility. While some degree of variability may be tolerated in a pre-clinical or pilot study, once full-scale commercialization is considered, product consistency becomes extremely important. If the automation in question is designed with enough foresight, it can be used to minimize human error, and even incorporate features like data tracking and chain-of-custody reporting, all of which comes in very useful when talking about commercializing a new therapeutic. Automating a very complex process, for example the production of a live cell therapeutic, is extremely difficult and sometimes best approached by breaking that process down into a series of smaller steps that can be integrated at need. Cell thawing is one of those steps, and as previously discussed, a step which is more critical than most people realize and a process that has been subject to improvisation. Fortunately companies are developing cell thawing technologies that are fully automated, to ensure standardized, carefully controlled thawing of live cell therapies. 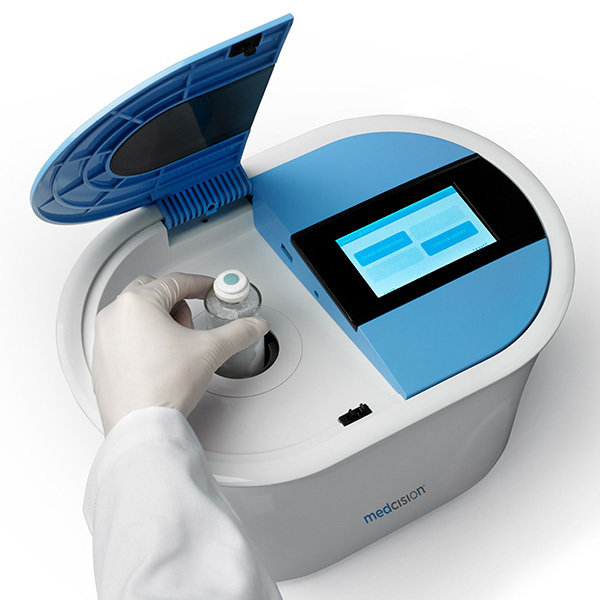 One of the most technologically advanced systems is the ThawSTAR® automated cell thawing platform from MedCision LLC, which incorporates phase change detection and complex algorithms to calculate a precise optimal thawing time for each unique therapeutic. While the engineering behind the cell thawing platform is complex, operating the ThawSTAR® system is simple. It’s also digitally enabled and designed with process integration in mind. As a member of TrakCel’s Connected Services program , information such as temperature recording and vial identification can be used to ensure regulatory compliance and patient safety throughout the cell therapy supply chain. In a study carried out at the Blood Systems Research Institute at UCSF, researchers compared thawing with the ThawSTAR® system to using a heated water bath to thaw cryopreserved PBMCs. Their results demonstrated that using the automated system resulted in higher mean viable cell recoveries, lower vial-to vial variability, and leukocyte population cell subset frequencies more closely aligned with those of freshly isolated cells. In a more recent study carried out at Caprion BioSciences , PBMCs were once more being investigated, this time in terms of understanding how well the cells are able to recover from cryopreservation in the first 24 hours post-thaw. It’s during this critical time period that cells are most vulnerable to apoptosis and necrosis arising from the stress of the thawing procedure. Results showed that post-rest recovery of cryopreserved PBMCs during the target time period is significantly greater for cells thawed using the automated ThawSTAR, rather than a heated water bath. This suggests cells are exposed to lower levels of stress and therefore lower rates of apoptosis when using the ThawSTAR® platform. Many cell therapy treatments take a decade or more to be brought all the way from the pre-clinical stage to successful commercial development. Results that can’t be replicated have a high economic cost--as much as US$28B is wasted each year on preclinical research alone that can’t be reproduced. 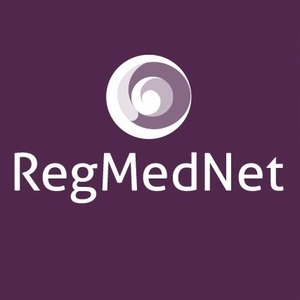 Having a variable or non-optimal thawing method, or a thawing process which is not well-managed, risks changing or damaging therapeutic efficacy. Therapeutic cells that are healthier, on the other hand, have a better chance of survival, proliferation and exerting effector function, and could very well tilt the scales toward a better and more reproducible patient outcome. The scientific and medical community is at the beginning of a new age of “living” cellular therapies. In order to assure the success of these therapies from the outset, awareness must be raised regarding the need for automated, standardized processing. Controlled thawing is an important step in the right direction. Novartis CAR-T cell therapy CTL019 unanimously (10-0) recommended for approval by FDA advisory committee to treat pediatric, young adult r/r B-cell ALL. PRNewswire. July 2017. World Health Organization: Biologicals/Vaccines 2012. Clarke DM, Yadock DJ, Nicoud IB, Mathew AJ, Heimfeld S. Improved post-thaw recovery of peripheral blood stem/progenitor cells using a novel intracellular-like cryopreservation solution. Cytotherapy. 11 (4): 472-479 (2009). Ehrhardt RO, Schryver B, and Stone M et al. Maximizing PMBC Recovery and Viability: A Method to Optimize and Streamline Peripheral Blood Mononuclear Cell Isolation, Cryopreservation, and Thawing. BioProcess International. April 2015. Thompson M. ThawSTAR Automated Cell Thawing Platform Joins TrakCel Partner Program. May 2016. Thompson L, Schryver B, Thompson M, Ehrhardt EO. Process automation helps standardize and de-risk thawing of cellular therapy products. Poster presented at: International Society for Cellular Therapy, 2017 Annual Meeting, May 3-6th, 2017, London, UK. Freedman LP, Cockburn IM, and Simcoe TS. The Economics of Reproducibility in Preclinical Research. PLOS Biology. June 9, 2015.